Looking to take try a sampling of my Americana art, but not sure where to start? 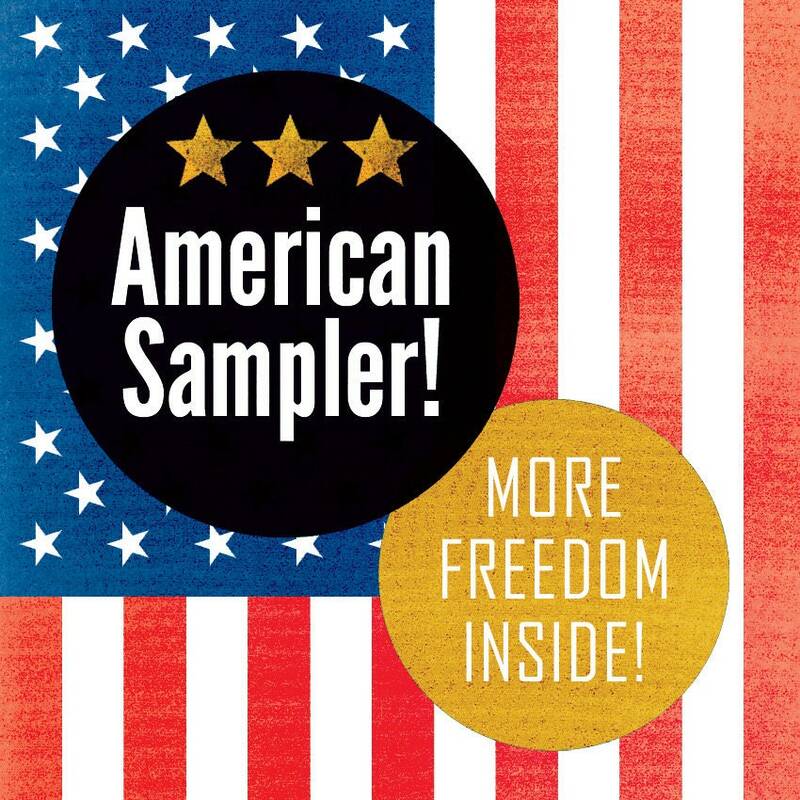 The AMERICAN SAMPLER is for you! This freedom-loving collection of art prints includes a minimum of (5) prints. All the art prints in the AMERICAN SAMPLER are from my Americana work. Cool? IMPORTANT NOTE: Please read carefully! Every sampler ordered may/will have a unique selection of art prints included. Which art prints will be included? Well, that's a surprise! Each AMERICAN SAMPLER includes a Red, White and Blue visual experience! SHIPPING & HANDLING: Great care is taken in preparing your prints. Placed in a protective archival sleeve, gently rolled and well packed, your artwork ships in a sturdy (GOLDEN!) tube. FINAL NOTE: Each AMERICAN SAMPLER includes a minimum of (5) art prints! All art by Rob Ozborne! There will definitely be something unexpected in there! For a limited time, just $24.99! What are you waiting for? Buy your AMERICAN SAMPLER now!